On the opening day of Karneval, my wife and I headed to the hospital and began the process of getting our second child into the world. Those of you who do not have children would likely be surprised how completely children, especially when newborn, are willing to intrude upon your normal patterns and habits. They don’t really care whether you wanted to sleep, read, watch a game, or sit down to type out some insightful thoughts about a football team 9 time zones away. In case the tone doesn’t ring the way I want it, this is far from being a complaint. Even at the worst of times, my two boys are far and away the most-exhilarating things in my life (and, yes, that includes that first day watching Sascha Bigalke play for the Effzeh thinking he was an immediate fix to any goal-production problems). This is not to say it wouldn’t be nice to have my cake and eat it, too (or, have my boys and leisure time, too). Even though I would expect that most of my timeline in the Köln area were recovering from 11.11-related activities fo the day before when I announced the birth of my son along with the fact that we did not yet have a name for him, I was instantly met with a handful of nice remarks of congratulation as well as some name suggestions. “Lukas” probably would have been a very strong candidate for us if only my wife’s best friend didn’t use it for her second-born son just over a year ago. Even though Poldi is gone to London, his influence remains pretty strong among all of us, eh? “Colonius” was my hands-down favorite. I mean, there is NO WAY we’d have ever used it, but it continues to be a source of great amusement to my wife and I. Even though my wife is a huge fan of Shakespeare, it wasn’t ever going to be a real candidate. “Miso” is another cool name, really, but the fact of the matter is that here in Seattle we’d have to deal with everyone assuming we’d named our child for a very common Japanese soup. Then, it also sounds like “Me so,” which probably would be most commonly affiliated with a really bawdy rap song by the 2 Live Crew that was pretty popular here in the US, thanks in no small part to the sampled dialogue of a Vietnamese prostitute from the film Full Metal Jacket. I wouldn’t be able to stay out of trouble dealing with anyone who started saying “Miso horny” to my boy. The above-referenced irony comes here, when I tell you the name on which we settled. Yep. 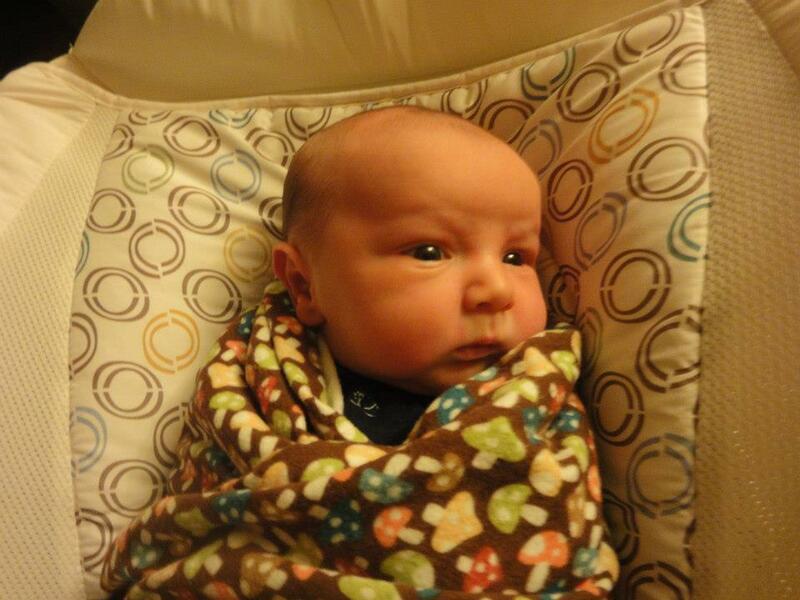 Henry Hauk is the name we fell in love with several hours after the boy with whom we were already in love was born. Whether the suggestions of “Hennes” helped bring “Henry” to mind, we’ll likely never know. However, I did decide that, on game days, Henry may be referred to as “Hennesry,” even if it sounds a little too much like a brand of cognac. Thanks to the magic of the internet and nap time, I have managed to watch the last two matches in full via FC-TV, even managing to avoid learning the results by dodging most of my social media streams throughout the morning until I can start watching. It’s not quite the same as following the live action along with other fans on Twitter, but it’s better than just reading about it after the fact, by a long shot. Hen(nes)ry mostly slept through both matches, but, as we all know, the results of both games have been solidly positive outscoring 1860 München and VfL Bochum by a combined 5-1 with the sole goal-against coming late in the second match when the result was pretty much in hand, leaving just enough of a bitter taste in the mouth to remind everyone that there is yet plenty of work to be done and that the defense has been questionable more often than it’s been a clear strength. Following a four-day holiday weekend for Thanksgiving, I’m getting back into my normal routine or whatever “normal” looks like in the wake of a second child coming into the family. Meanwhile, we’re in the midst of an English week with two strong opponents to face and have a DFB Cup quarterfinal, the winter break, and Christmas holidays looming in the immediate future. It’s a busy time! 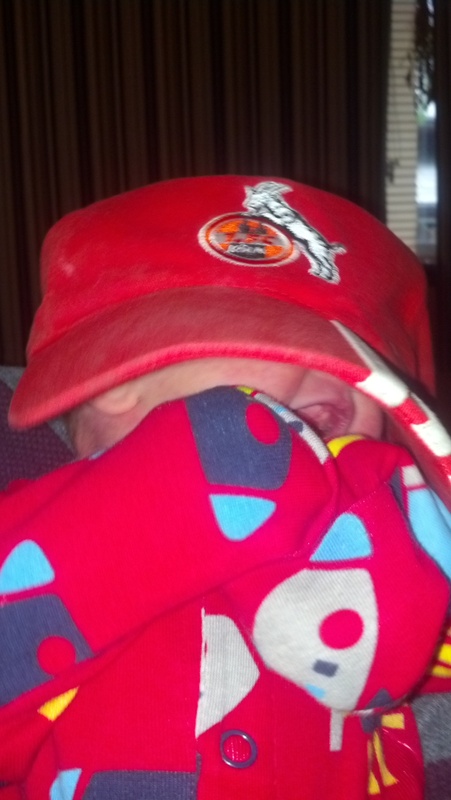 In the meantime, feel free to welcome the latest American addition to the Effzeh nation.